A rise in self-expressive art and bold creativity is leading a new class of contemporary artists on the London scene. 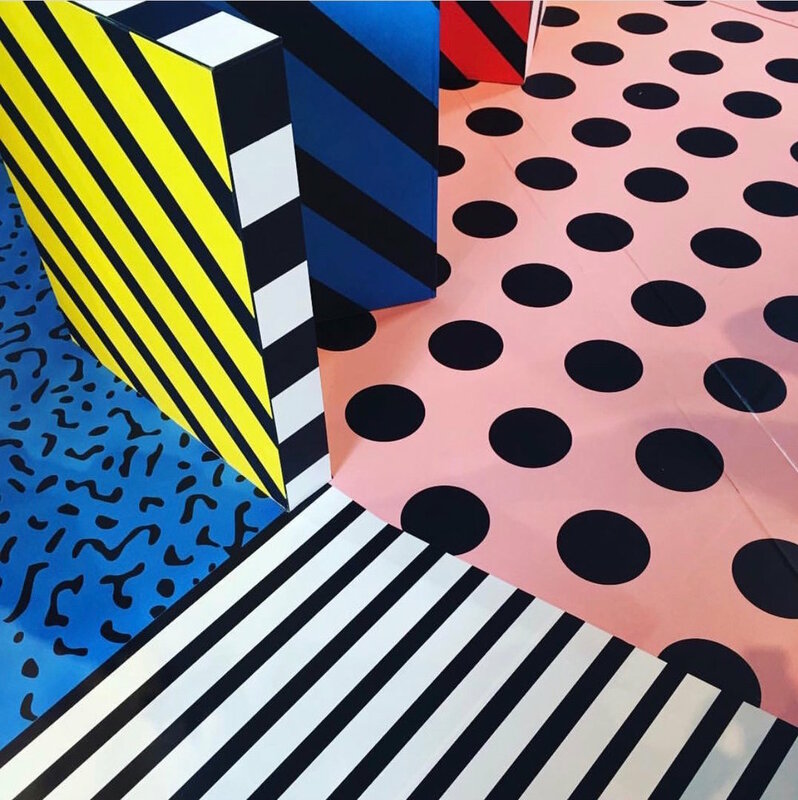 A recent trip to the city and NOW Gallery’s latest collaboration with digital print designer Camille Walala left me awestruck and dizzy amidst an immersive Memphis Pop mazed puzzle. Walala's illustrative doodles and maximalist geometrics is an experiential art installation meets funhouse playground. Her controlled injections of color and disco stripe work creates the perfect backdrop for a labyrinth of print and pattern. 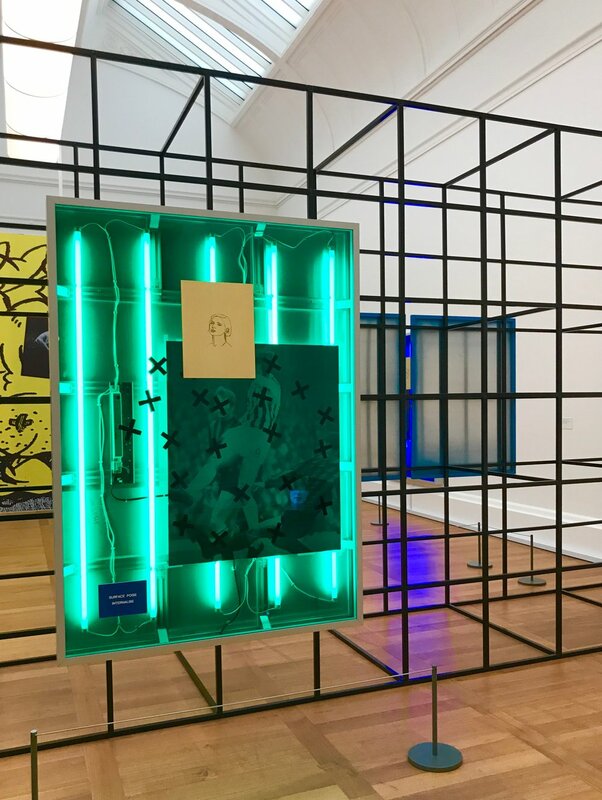 The Tate Britain's Art Now exhibition introduces new work by emerging artists who often go on to become established influencers. I was giddy with excitement over the work of Simeon Barclay, a British artist who combines industrial materials and pop culture iconography as a reference to our obsession with aspirational lifestyles, celebrity fame, and wealth. This colorful expression in art is also popping up in the beauty and hair industry as make-up artists and hair stylists experiment with interesting materials and dyes. Creativity and the individual is seen through the use of vivid, saturated color and abstract shapes. 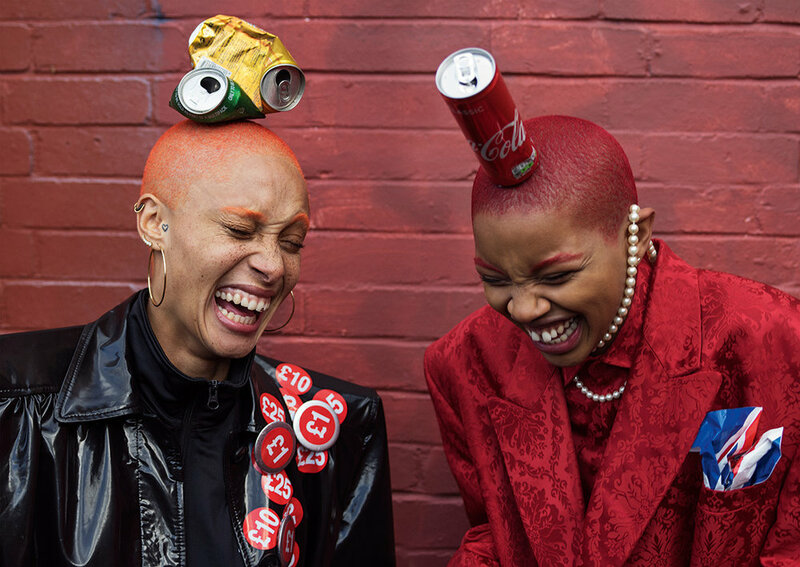 Tim Walker's editorial for i-D magazine's April 2017 issue celebrates an irreverent off-beat uniqueness and the freedom of self-expression. “Creativity is our light at the end of tunnel. The thing that tells us to get out of bed because someone somewhere is doing something beautiful,” says i-D cover star Adwoa Aboah. As a society yearning for a brighter future, this is a happy movement toward accepting diverse individuality with a playful perspective of art and design.